Together with Ropes That Rescue Ltd., we designed this harness to meet the demands of the transmission line worker, structural access professional and arborists. It has a modular work/tool pouch system allowing the user to customize each harness to their own arrangement — a first of it’s kind. Easily adjustable for variations in clothing by use of camlock buckles. Attachment points at waist, hips (positioning), chest (positioning), back (lumbar) and back (fall arrest). Extra large, side positioning rings (lineman style) allow the user to easily make connections to safety belt. 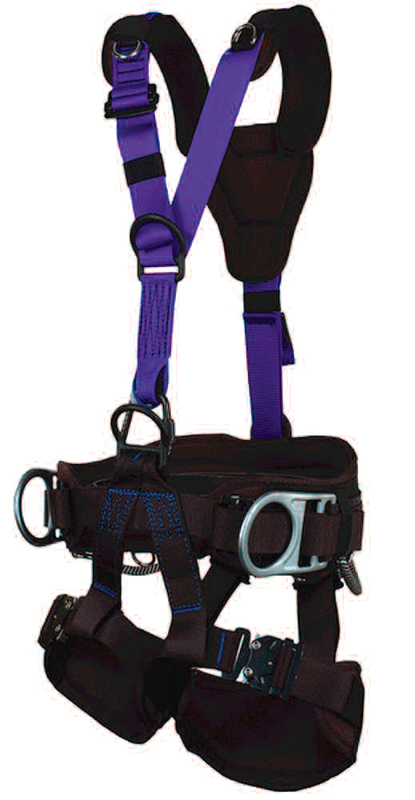 Chest harness specifically designed to incorporate a chest ascender (not included) for tower access work and is specially tailored to reduce chafing of the neck. Weight 6 lb. 11 oz. 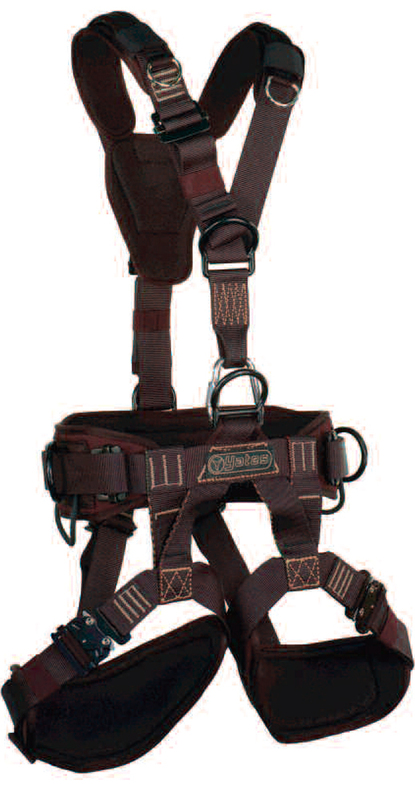 For professional use in stage rigging and construction applications where a light-weight Class III harness with positioning rings and multiple attachment points are desired. 5 inch waist pad provides extreme comfort. Quickly and easily donned and adjusted by use of camlock buckles. New contoured shoulder webbing with removable shoulder pads. New improved wider leg pads for more comfort. Attachment points at waist, hips (positioning), chest (sternum), back (lumbar) and back (dorsal). Weight 5 lb. 9 oz.